8 Responses to Truth to power, baby! this is deadpool kills the marvel universe am i right? ugh x infinity. 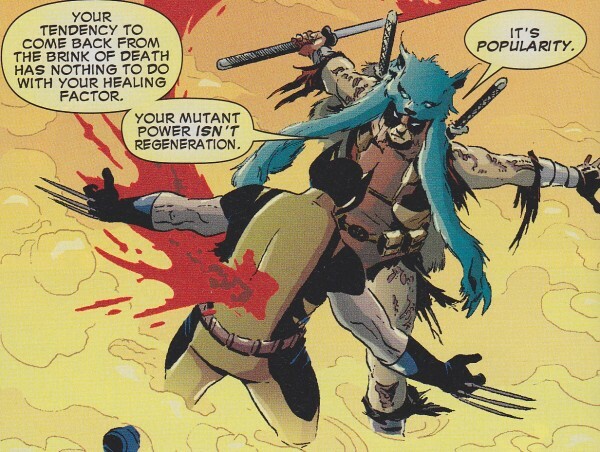 How many times will they try and kill Wolverine before they realize he can’t be killed? Doesn’t even make for a good story because you know he’ll come out on top. Delivered without any hint of humor whatsoever. Deadpool’s really been lame since Cable & Deadpool got cancelled. Makes me sad. Yeah, this seems to be more of a Ryan Reynolds inspired Deadpool, who doesn’t talk a mile a minute and crack jokes, but is more just laid back and “sarcastic”.